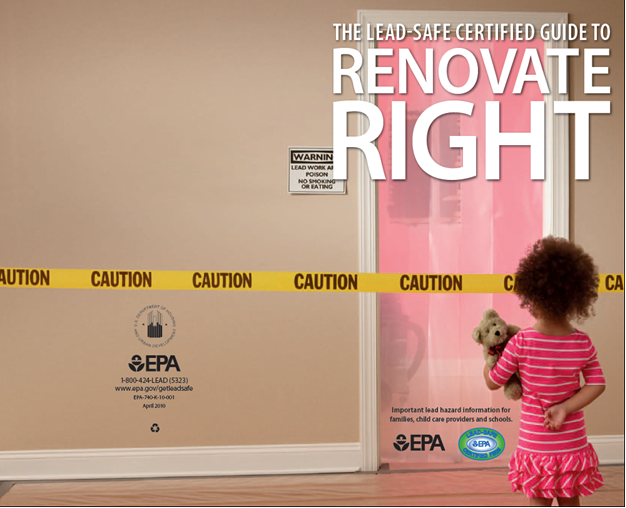 A new Renovate Right pamphlet has been released by the EPA. Certified Renovators will need to start using this new pamphlet. The only page that has changes is page number 10. These changes were made to clarify the cleaning verification process, lead dust testing and emphasize that homeowners can do their own testing.